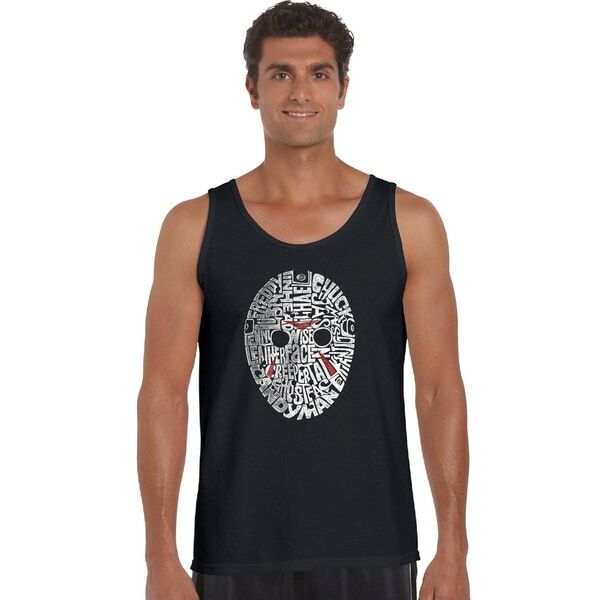 Draw attention to your favorite slasher films when you wear this black cotton tank top. Featuring the names of famous movies like 'Candyman' and 'Freddy' in a fun skull shape, this edgy shirt makes an excellent gift for true horror fans. Choose from a selection of base colors, including green, gold, blue, grey, and orange to create the look that suits you best.